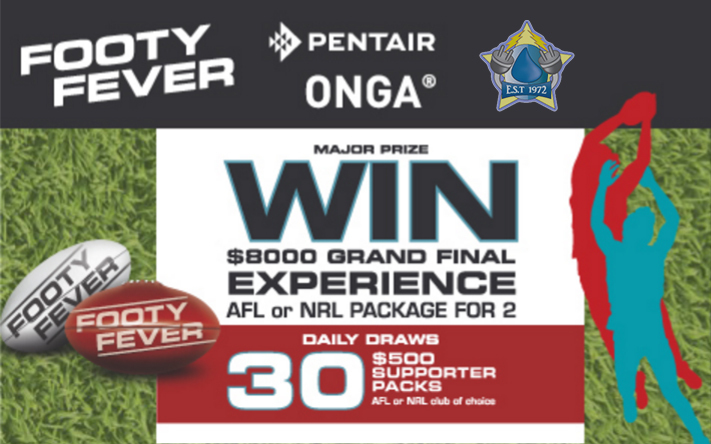 Onga Pumps / Pentair Water Australia Presents the 2016 Footy Fever Promotion. Not only buy an ONGA PUMP at a discounted price you can be in the draw for some great prizes. Come down to Crowell Benson Power & Water and check out what we have on offer.